The beautiful thing in IT world is, that people are willing to share their knowledge. That's why we write blogs, speak at conferences and form local communities. There are already couple of such communities in Kraków. Sometimes I think, that this city is really the Sillicon Valley of Poland (and maybe even of this part of Europe). There is SCKRK (Software Craftsmanship in Kraków) for software craftsmen, there are many PJUG (Polish Java User Group) meetings for Java people, KGD.NET (Kraków's Group for Developers .NET) for .NET people, Lambda Lounge for functional languages enthusiasts, Bright talks, Kraków Scala User Group, DataKRK, Hacker Space, JAR Camps and many others. If you are in Kraków, you can always check what is going on today and come to learn and share some knowledge. 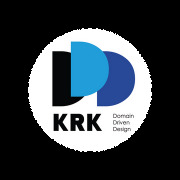 DDD-KRK - meetup for Domain-Driven Designers in Kraków. We are going to meet once a month - the plan is to make it always the first Tuesday, but the very first meeting was another day and the second will also be on different day. :) I received many wishes and congratulations from other communities in other cities. Thanks for that! For the first meeting I prepared a presentation about introduction to DDD, and then we started a discussion about business value of it. I hope people enjoyed it. There are some photos on the event page. The second meeting is going to be really great. At May 6th-9th there will be Implementing Domain-Driven Design workshops with Vaughn Vernon in Kraków. After the last day (Thu) we will have DDD-KRK meeting and Vaughn with Alberto Brandolini decided to give some talks to the fresh formed community. Again, thanks for that! If you are not that familiar with DDD yet, but you are willing to dig into the topic, join our community - become a Domain-Driven Designer and participate in our meetings.